When you think of pocket folders, you more than likely think about the standard ones that you buy in an office supply store. Those are great for storing important papers, but for marketing they don’t make the cut. Using creative design and printing options, you can turn a pocket folder into a tool that will help you get noticed and be remembered. Here are just a few examples of how you can turn a simple folder into something that can make a statement for your company. An effective marketing pocket folder should not be stuffed with tons of inserts, so why do you need two pockets? Instead use the left side to showcase high-level information on what sets your company apart and put the specific information on sell sheets in the pocket. This custom look is simple but makes a great impression. Take the concept of the one pocket folder to a whole new level by inserting one or more staple bound pages into your folder. 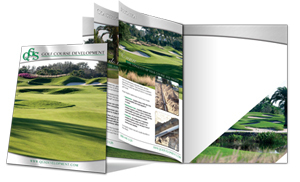 This gives a high-end brochure/catalog feel to you piece to provide a wealth of information in an easy to read format while maintaining the versatility of a folder. 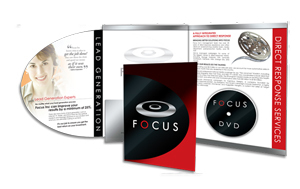 Folders with special pockets for DVD’s or CD’s are great for storing extra information that you you’re your potential customers to view on their own time. The pockets of these folders are sturdy enough to hold a DVD or CD as well as important papers. There are many different ways you can use this type of folder, and you can even add a small hub where the CD can be mounted to making the entire disk visible. 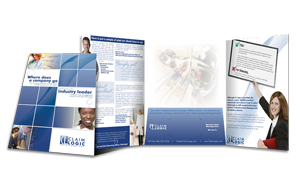 You have probably seen a tri-fold brochure before, but did you know that the same concept can be applied to a folder? If you plan on using folders to hold a good amount of papers, but still want a place to show off your company, this is a good option. You get a panel for advertising, but instead of one pocket for papers like the single pocket option, you get 2 for extra storage. Like many other marketing options; you can create a custom die cut for your folder that will make it really stand out! Die cuts can be used on any type of folder, so get creative and make your folder something that is truly unique! 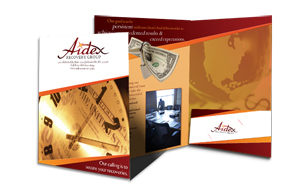 The printing option you decide to take for your pocket folder will greatly depend on what you plan on using them for. Knowing some of the different printing options can help you make your decision. Do you need someone to design a folder for you? Have questions about which option would work best for you? We can help! Contact us or ask questions in the comments!